Recently I have been craving chocolate in a bad way. The funny thing is I’m not really into chocolate candy bars, but put a brownie, cookie or a piece of chocolate cake in front of me and it’s on! 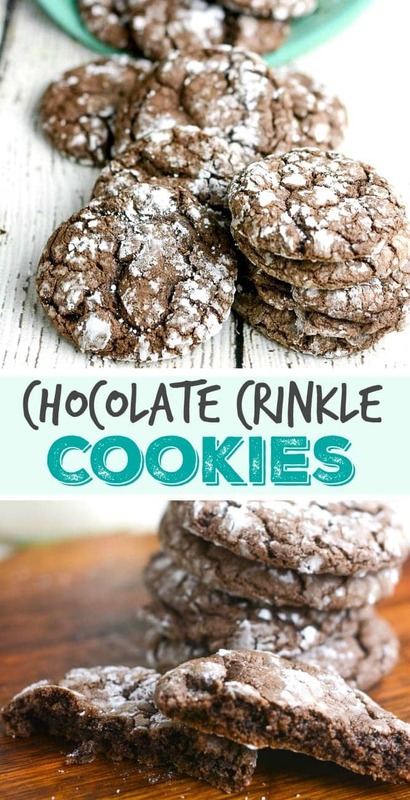 The combo of a brownie-cake-cookie sounded really appealing, and after a bit of Googling I found that I could easily make Chocolate Crinkle Cookies from a box of chocolate cake mix! 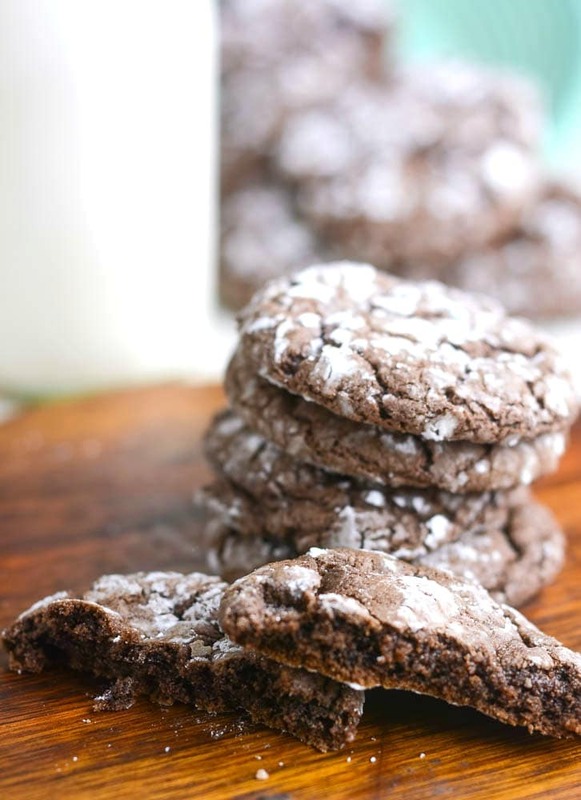 These cookies are everything a chocolate-lover could hope for — they’re light and fluffy with a chewy, cake-like center, and slightly crisp on the outside like the edge of a brownie. 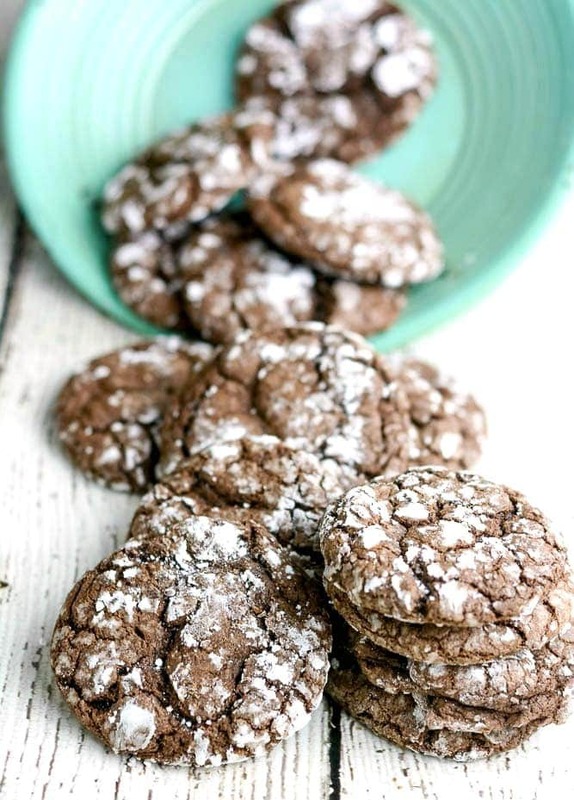 Honestly, they’re super delicious and look way more sophisticated than a box of cake mix rolled into some powdered sugar. Mix cake mix eggs and oil until well combined. Once chilled, roll dough into small, tablespoon sized balls —about 1" . 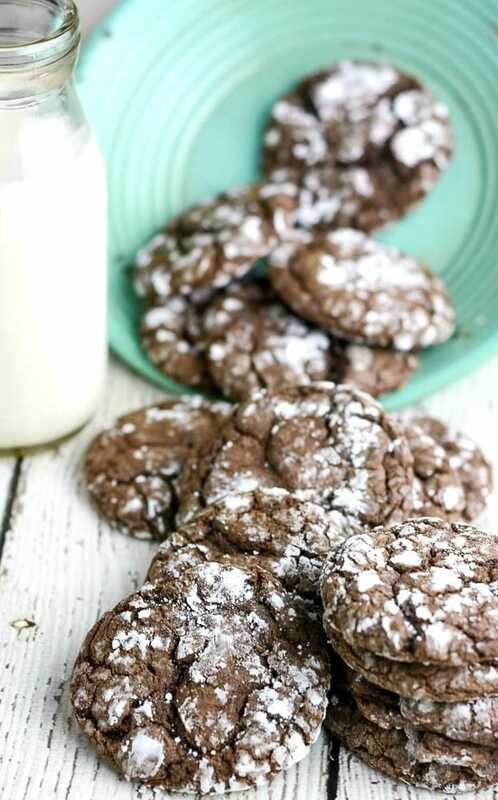 Roll cookie dough balls into powdered sugar and place on a un-greased cookie sheet. Bake for 8-10 minutes. Cool on a baking rack.